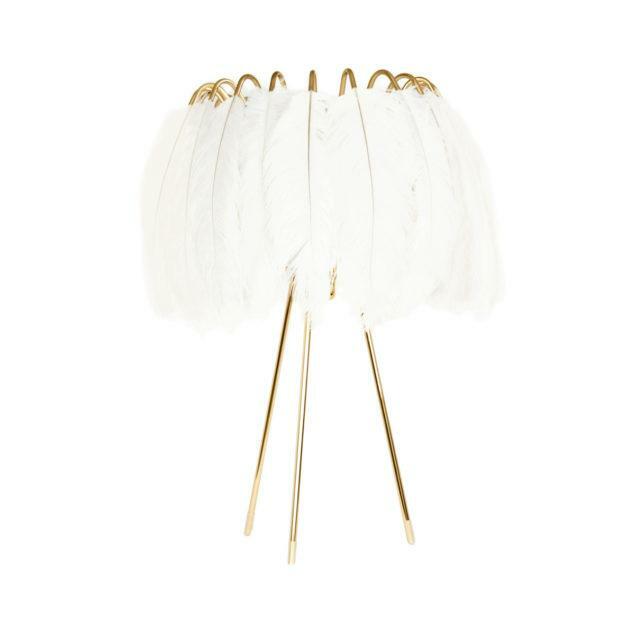 White Ostrich feathers Table Lamp. Gold metal wire frame with ostrich feathers. Supplied with a 2 meter braided cable. Gold wire frame with Feathers.